​SUNDAY WORSHIP IS AT 10AM. HOLY COMMUNION IS NORMALLY ON THE 1ST SUNDAY OF THE MONTH. 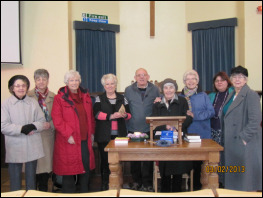 WORSHIP AT STALBRIDGE CONGREGATIONAL CHURCH IS VARIED - WE HAVE REGULAR PREACHERS FROM WITHIN OUR CHURCH, AS WELL AS VISITING SPEAKERS FROM LOCAL CHURCHES. OUR MUSIC VARIES FROM TRADITIONAL TO MODERN DAY- USING C.D. 'S AS WELL AS GUITAR AND CLARINET. OCCASIONALLY OUR ORGAN OR PIANO ENHANCE OUR WORSHIP - BUT CURRENTLY WE DO NOT HAVE A REGULAR KEYBOARD PLAYER. SHOULD YOU CARE TO JOIN US AND ARE ABLE TO PLAY ANY INSTRUMENT WE WOULD LOVE TO WELCOME YOU ON BOARD. For more Information click on the button below to visit our website. 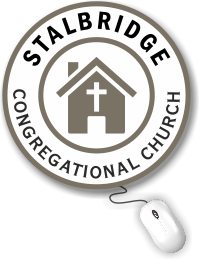 Stalbridge Congregational Church, Station Road, Stalbridge, Dorset DT10 2RG.